Veteran painter Vasant Wankhede belongs to the generation of painters who believed that the true meaning of ‘spiritual’ is nothing but having faith in your creative deeds and following these under the guru’s blessings. This essential aspect solemnizes life; and this sanctity of life is an inseparable component of art-life function. His teacher-guru Lt. Shankar Palsikar guided him through his student days at Sir J.J. School of art. The doyen’s remarks on his work used to be minimal but pertinent like those of a spiritual guru. Wankhede’s faithful persistence in abstraction nurtured his existence and gave him the confidence to work in the chosen idiom of painting. From 1977 he started using paper as his medium instead of paint. Later once when he was hospitalized he came upon the bandage cloth; out of inner necessity, it came to him as his new medium of art. 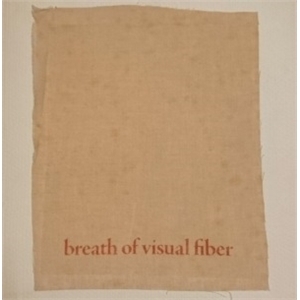 He said he uses cloth “to replace paint”; the minimalist visual of fabric gives expounding life to his art. Vasant Wankhede has been able to create an indelible mark on the Indian art scene through his unique style of abstracts (Fabric Collages). The catalogue consists of a decade of his works (1996-2007) that display the vigor and versatility of his idiom with texts by Mehlli Gobhai, Mahendra Damle and Nitin Arun Kulkarni.